Been involved in a car accident? Spokane car accident attorney at Russell & Hill, PLLC, has extensive experience in car crash cases. An automobile accident is one of the more traumatic situations you are ever likely to go through in your life – what makes this situation worse is that the auto accident might occur due to someone else’s negligence. Aside from any physical, mental, or emotional damage, you can also suffer from stress due to costly medical bills, damage to your vehicle, and possible loss of wages. 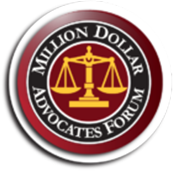 Don’t go through these challenges without professional legal representation. Here in Spokane, the firm of Russell & Hill, PLLC, is ready to assist you. Attorneys at Russell & Hill, PLLC, have extensive experience in this field of law, having represented hundreds of people who have been the unfortunate victim of an auto accident. We are proven experts in making sure clients are equitably compensated, and that the at-fault party pays for medical bills – including any future medical costs. Our lawyers can also get compensation for property damage and loss of wages. There are many possible injuries you may sustain from an auto accident in Spokane. Whether these involve excessive pain or not, you need to have the resources to recover from anything. If you have suffered injuries or incurred loss of property, it is your right to seek the maximum amount of compensation provided by law. To do so, you’re going to need a legal team with a proven record of success. Russell & Hill, PLLC, is just such a firm. The last thing you want to do is attempt to litigate an auto accident claim by yourself. The level of education and legal training required to pursue such a claim is immense – this is the number one reason for contacting a legal firm that specializes in auto accident claims is the best course of action. By virtue of their training and experience, auto accident attorneys can best act on your behalf. 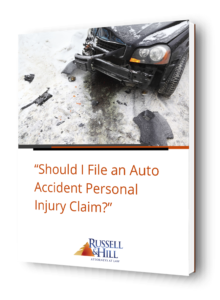 Learn the step-by-step process of filing a personal injury claim in our free report! 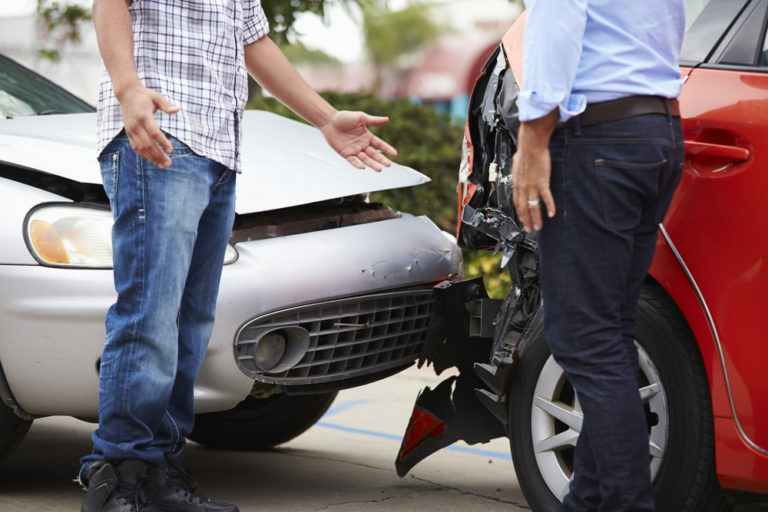 Because each auto accident is different from another, so are the types of injuries sustained. Russell & Hill, PLLC, will prepare an extensive list of the damages that resulted from the auto accident. An inexperienced attorney might not obtain the compensation you deserve; there are many factors that determine an excellent auto accident attorney. Russell & Hill, PLLC, is committed to uncovering all sources of compensation available to you. Our attorneys work one-on-one with you during all phases of your claim. 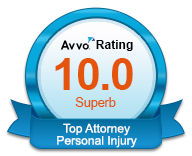 Due to our extensive trial experience, attorneys representing insurance companies have a high regard for our lawyers. We are always prepared to take your case to trial if a satisfactory settlement is not possible. 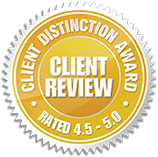 From our free initial consultation to our proven record in obtaining compensation for clients, Russell & Hill, PLLC is your best choice for personal injury claims. Simply fill out this Free Car Accident Consultation Form or call us to schedule a consultation at 509-204-9701.